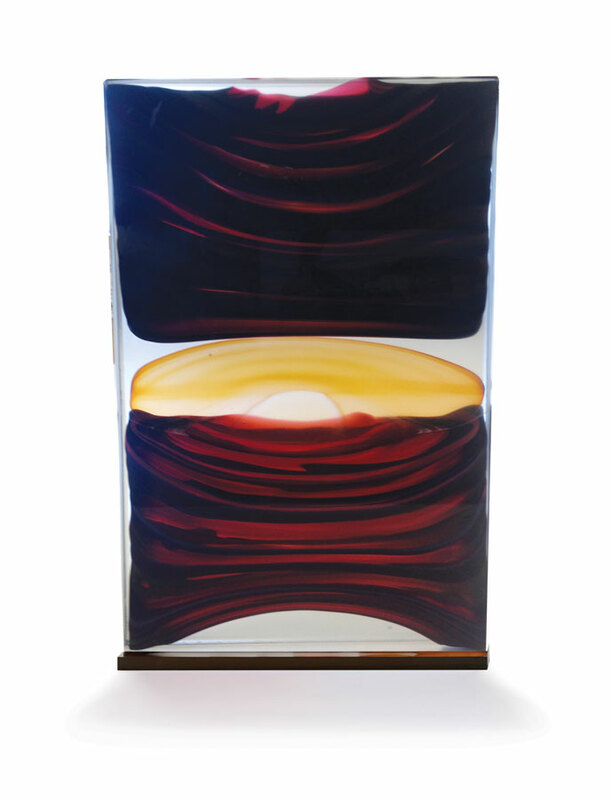 Jamie Harris is a Brooklyn, New York-based artist who works with blown, kiln-cast, cold and hot-worked glass. 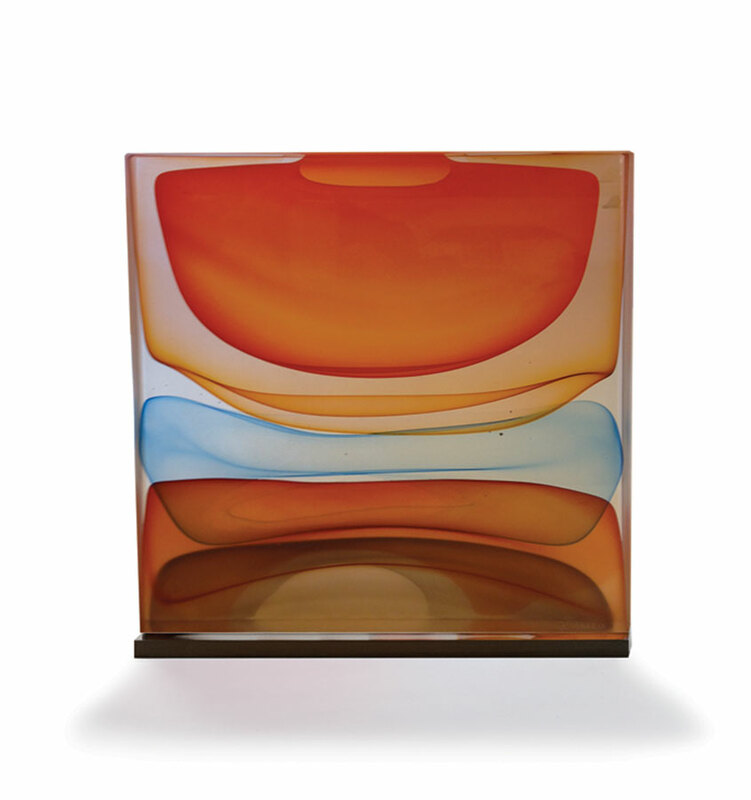 His sculpture is a celebration of color and design emphasizing a painterly perspective in glass. 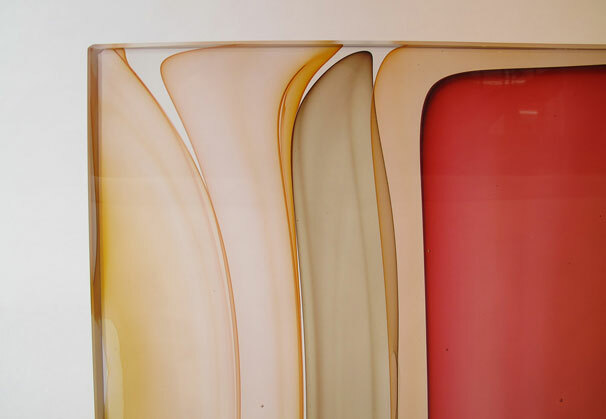 Jamie is represented by Wexler Gallery in Philadelphia, PA, where he is featuring his new series, Infusion. “My work has long been distinguished by my unique and painterly use of color and design. My sculpture has been widely praised, and is carried by a select group of exclusive galleries. My line of exclusive tabletop items brings my unique sense of design to the marketplace, and is available worldwide at select stores. 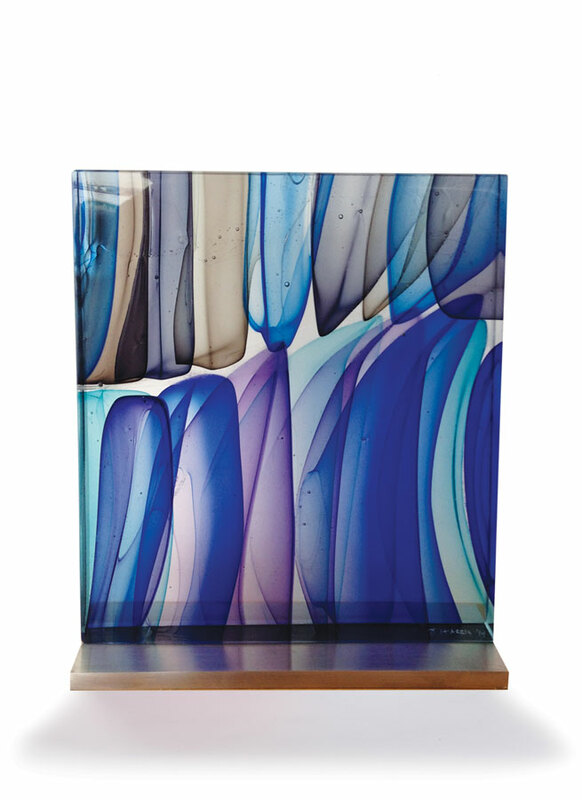 I have been very fortunate to have worked and studied with some of the most talented glass artists in this country, and where I work in New York I am surrounded by an extensive network of skilled artisans. 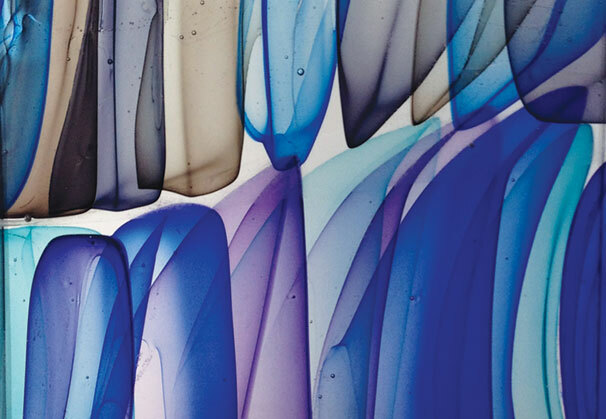 My work is made in a highly coordinated team effort, where the assemblage of collected talent yields a higher degree of intensity and creative output than could be achieved in the glass studio by working alone. This sense of team involvement is one of the greatest joys of glassmaking, and the action of the team is an integral part of my work. 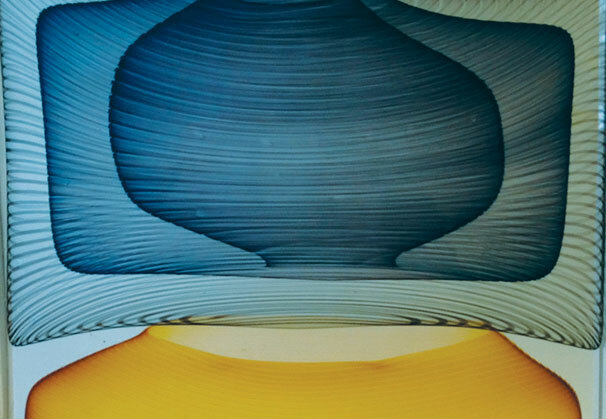 Jamie Harris is a glass sculptor living and working in Brooklyn, New York. 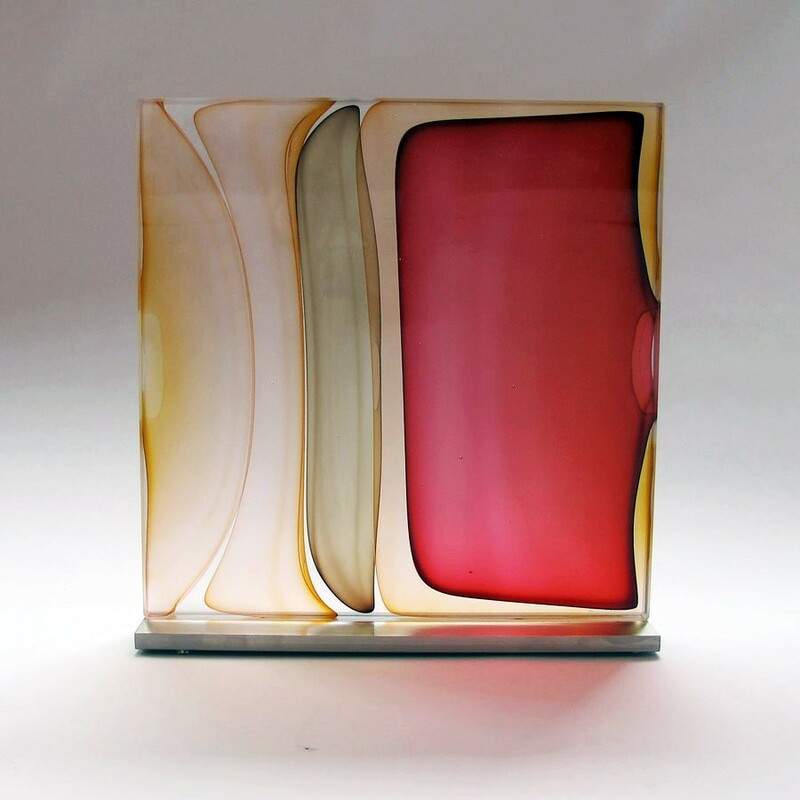 Jamie's newest Infusion series, a project born from a residency program at Corning Museum of Glass in New York, demonstrates his technical mastery in working with blown, kiln-cast, cold and hot-worked glass. 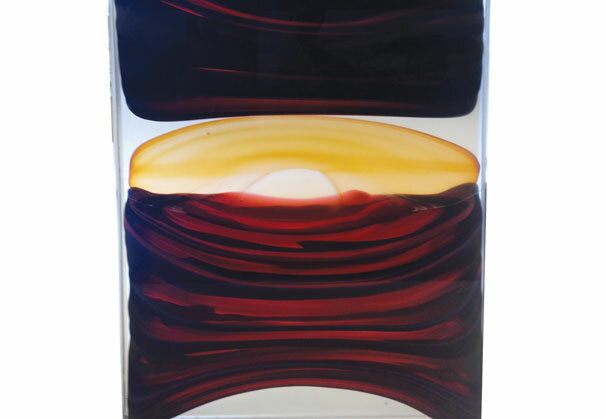 Jamie's work is a celebration of color and design emphasizing a painterly perspective in glass. 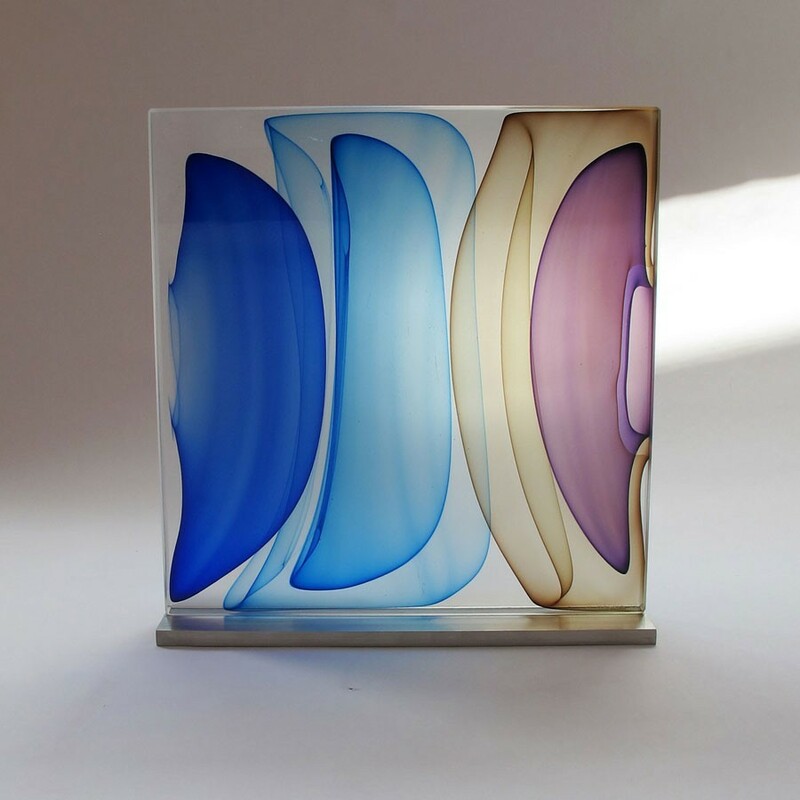 To build his Infusions, Jamie shapes bubbles of glass into a mold, cools the glass in a kiln and then heats the glass into the corners of the mold allowing for dynamic patterns and lines in his compositions. 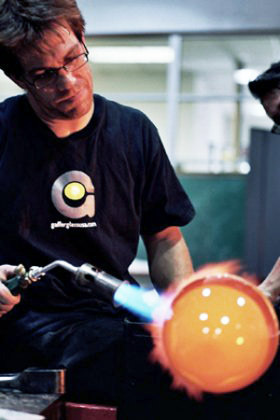 To Jamie, this method mimics the movement and experience of working with hot glass. 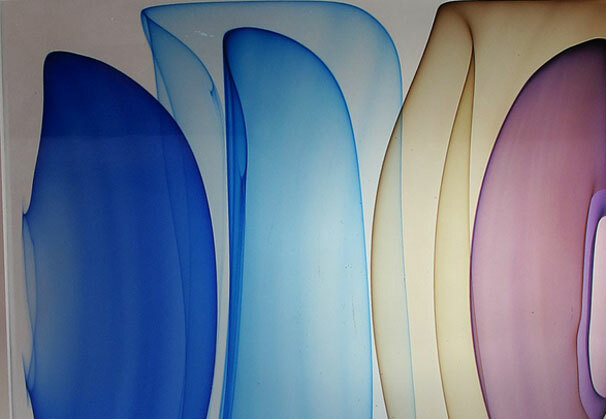 A graduate of Brown University, Jamie has studied at some of the most prestigious glass schools in the country including the aforementioned Corning Museum of Glass, The Pilchuck Glass School, the Rhode Island School of Design, the Penland School of Crafts and the Haystack School. 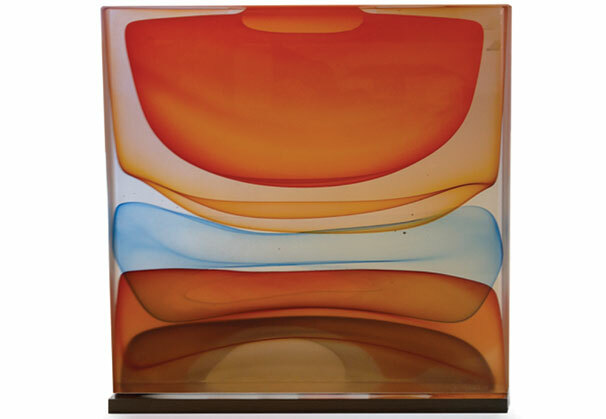 Harris has also studied with many of the most renowned glass artists in the world, including Dante Marioni, Josiah McElheny, Benjamin Moore, Lino Tagliapietra and has collaborated with Robert Rauchenberg and Kiki Smith on several glass projects. 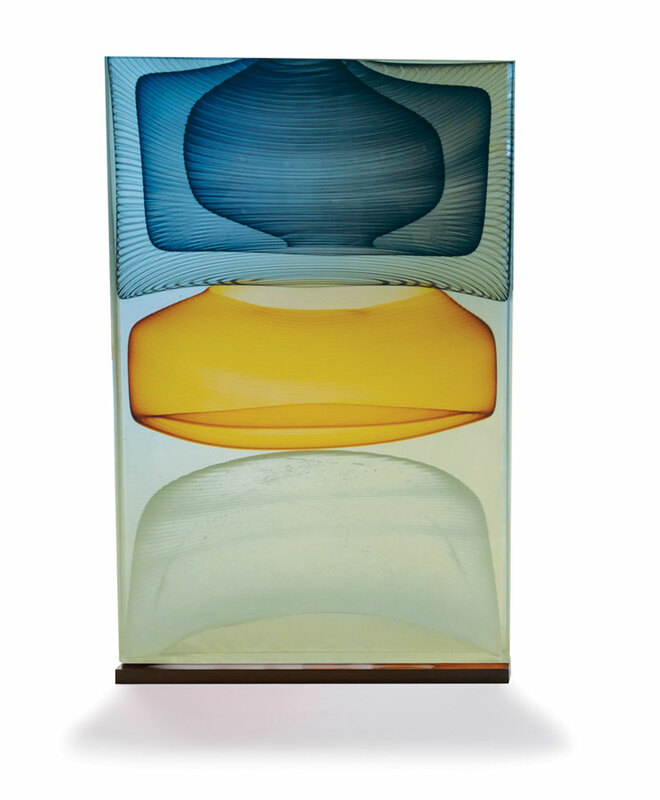 His work is included in the 2014 edition of the Corning Museum of Art New Glass Review 35. We are grateful to Wexler Gallery, Philadelphia, Pennsylvania, for providing the materials for the Artist of the Month.